Tonight marked a new high for Basic Monkey and for James at the Fira Barcelona. 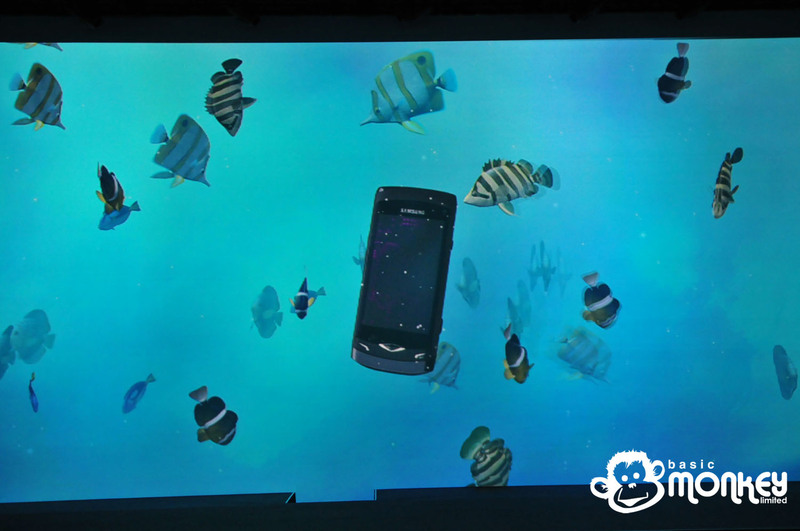 Using a huge amount of technology and an even bigger amount of time, effort and late nights, Jack Morton Worldwide have put on a truly immersive and spectacular launch for Samsung’s new phone, the ‘Wave’. 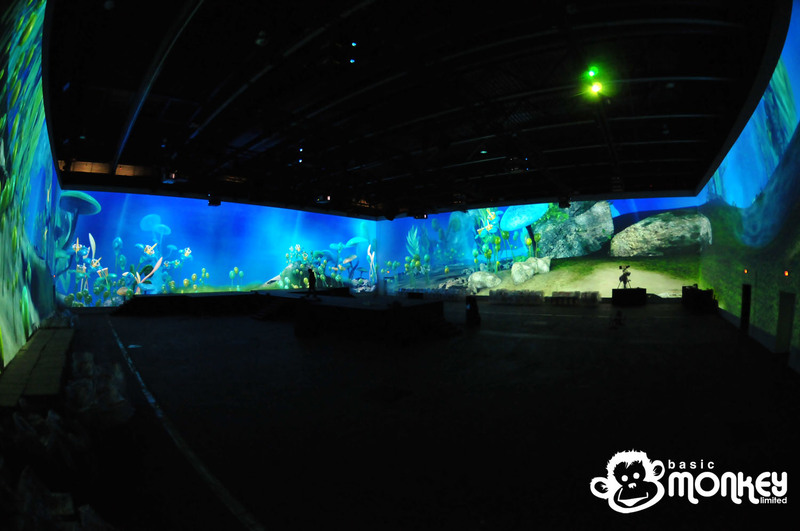 The vision from the team Jack Morton Worldwide was to create a 360 degree projected image around a 33m square room with 8m high white walls. 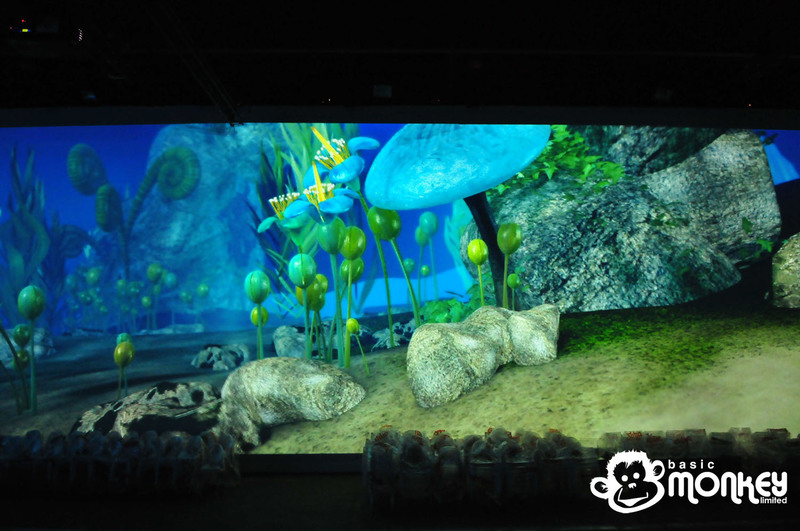 The oceanic theme was chosen by the client to re-enforce the ‘Wave’ brand and D’strict were again chosen to provide the content that would create this under the sea experience. 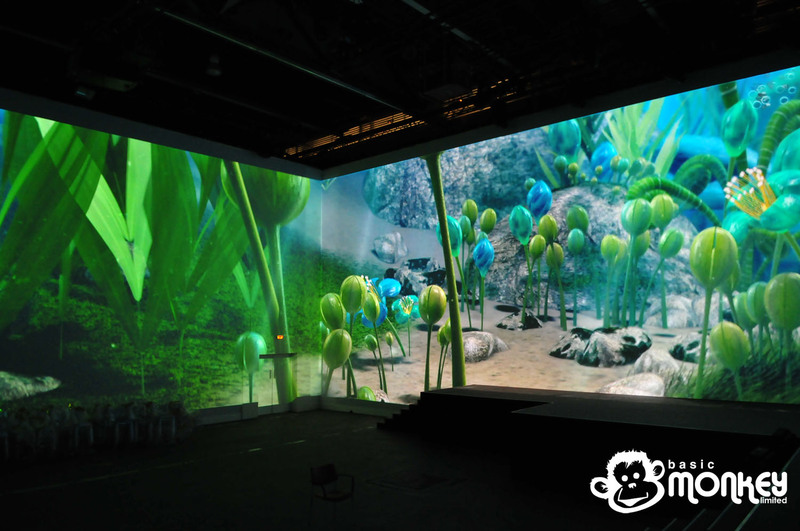 Tim Riley at XL Video was asked to bring this vision to life and he enlisted the help of James to design and implement a Catalyst system to drive the 24 projectors required. 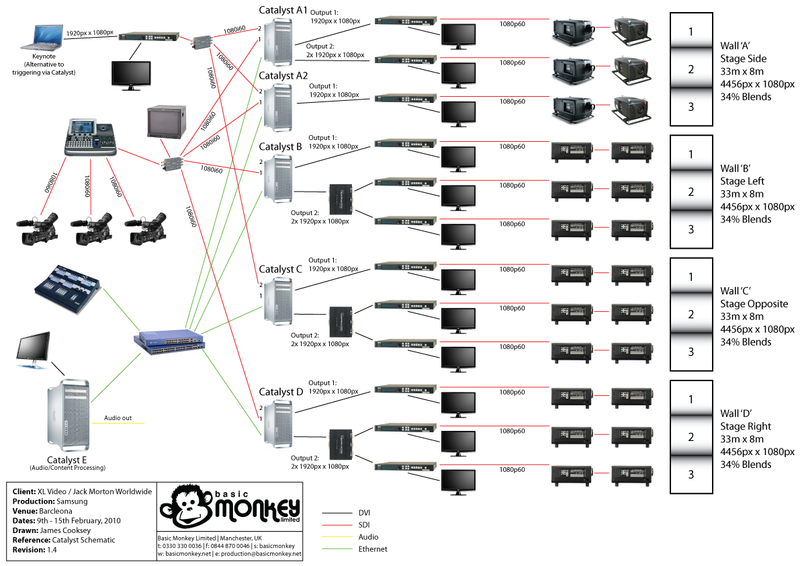 This eventually required 6x Catalyst machines, including Basic Monkey’s own to drive the video and surround sound audio. 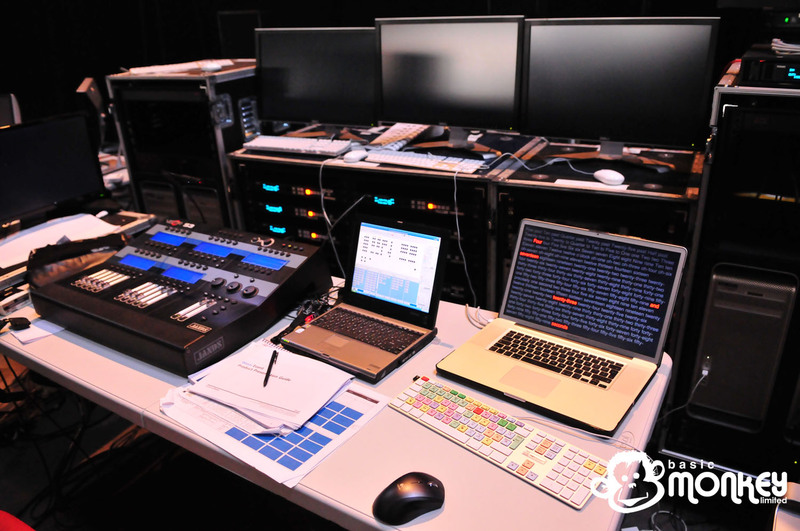 James converted the story board and mass of video files provided by D’strict into a fully programmed show using our Jands Vista lighting console. 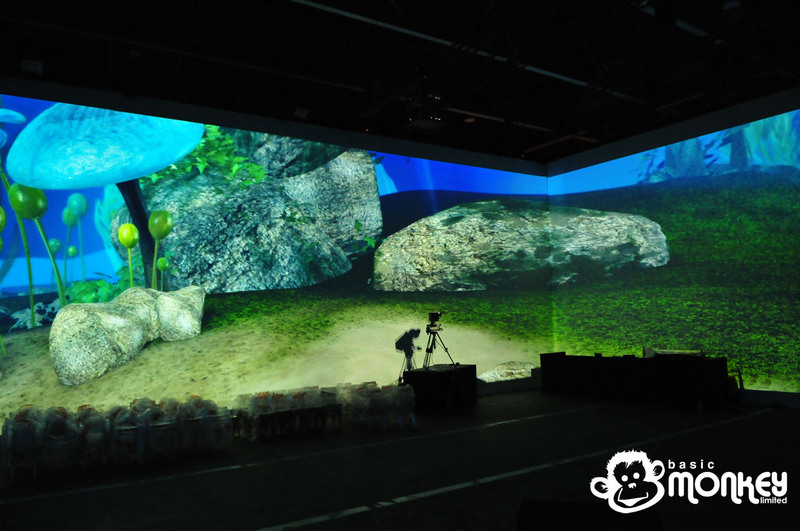 For the science bit: 5x Catalyst machines were used to drive the 12x channels of projection through 12x Folsom ImageProHDs, with a 6th machine to play 5.1 channel surround sound audio and generate SMPTE timecode to synchronise the lighting to the live action performance. 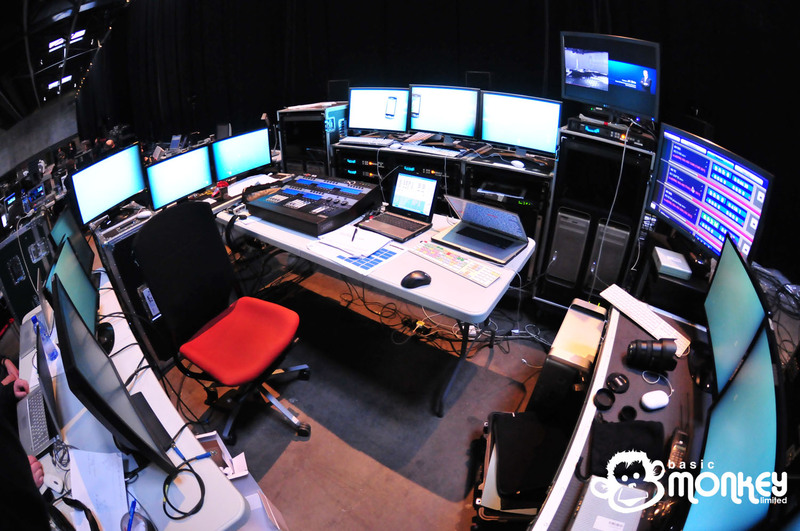 This demonstrates how involved all the departments of production have become and shows how the Catalyst system can be a very strong heart to this. 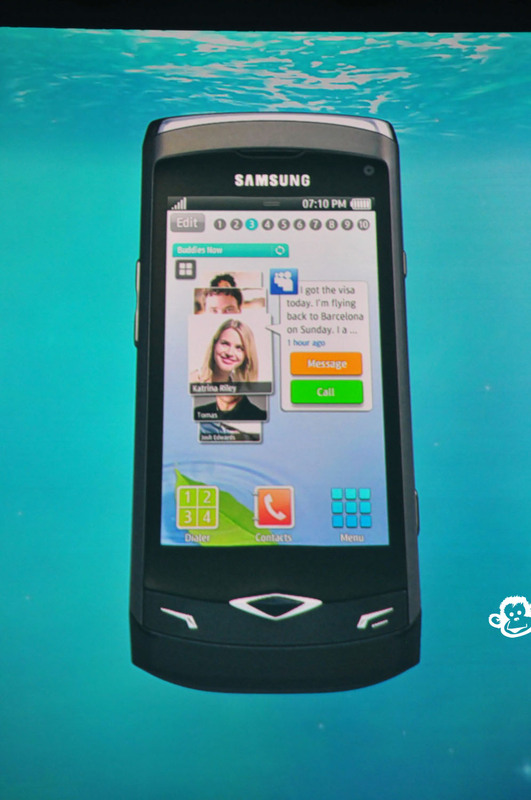 J.K. Shin, the President of Mobile Communications at Samsung’s speech used Keynote which was input into Catalyst and output on two opposing walls, with one wall across two machines. 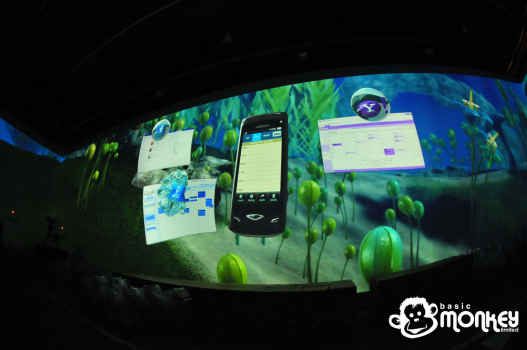 Live camera feeds, mixed by Kevin Watts, were also displayed as picture in picture images either side of this keynote presentation. Have a look at the schematic to see how it all came together! The show was a huge success for all involved and leaves only one problem… what’s next?